A Marshall-like stack housed in a (tiny) box. It's an excellent overdrive - with Marshall flavour in a tiny footprint. Flexible range of Marshall tones. Internal DIP switches open up more options. There are plenty of 'Marshall in a box'-style pedals around, but the Xotic SL Drive is probably the smallest we've seen. 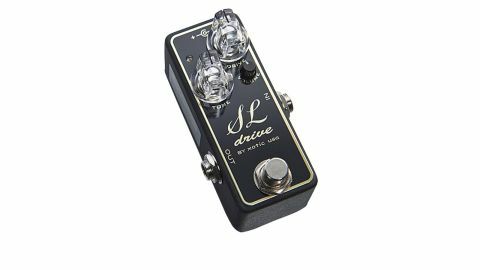 "If it's that late-60s/early 70s Marshall sound you want, the SL Drive will deliver"